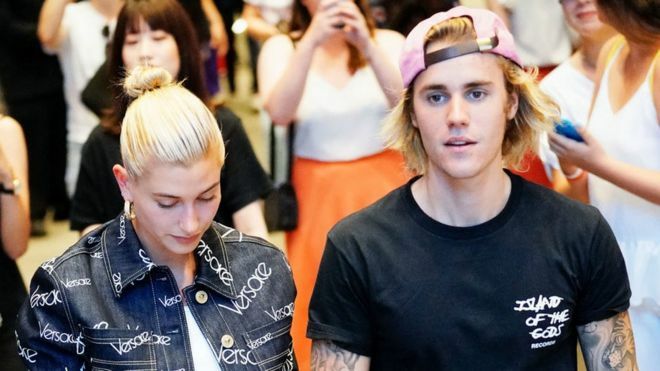 It looks like the entire celebrity world will be getting ready for the biggest wedding ceremony of the century as Justin Bieber has popped the big question to girlfriend Hailey Baldwin. Canadian pop singer, Justin Bieber became engaged to model Hailey Baldwin over the weekend in the U.S.
First Ariana Grande gets engaged, now Justin Beiber. The 24-year old popped the question at a Bahamas resorts, according to TMZ. Although the couple had broken up in the past, they reunited and are now engaged. Bieber had also dated singer and actress Selena Gomez off and on for years. Bieber’s father, Jeremy, posted a photo of his son on Instagram, saying he was “Excited for the next chapter”, while his mother Pattie Mallette expressed her excitement on Twitter. Baldwin has appeared in American Vogue, Marie Claire and Spanish Harper’s Bazaar. She has also appeared in a number of modelling campaigns, music videos and television shows.